For IT News Week 2 Apr 2017. From today, U Mobile postpaid customers will be able to enjoy unlimited data and calls from RM38 through the new postpaid plan, HERO P38. This latest postpaid plan will also include Call-Onz™ - unlimited calls to all networks. Like its predecessors, HERO P38 has no restrictions on when the calls and high speed data may be enjoyed – so whether it is a weekday or a weekend, regardless if you are on 2G, 3G or 4G network, you are getting the best value data experience out there as the postpaid plans starts from just RM38 only. It means customers may enjoy unlimited data for music streaming, social networking, Waze and even video streaming with our partners without ever using their data. On top of that customers are able to tether without worry. For customers who want more, U Mobile will be introducing another HERO Postpaid Plan called P48 on 17 April 2017. Apart from Call-OnzTM and unlimited data for App-onzTM, Music-OnzTM and Waze, customers will get additional 5 GB for Video-Onz™. The total experience is available to customers at just RM48. Kaspersky Lab's Kaspersky Anti Targeted Attack (KATA) Platform has successfully passed independent testing by ICSA Labs, in a test rarely performed, which focuses on the efficiency of specialized solutions to protect businesses from advanced and targeted threats. In general, setting up an environment for the fair evaluation of protection against these type of threats is more challenging than testing for the prevention of widespread attacks. In a highly complex simulation of a corporate infrastructure under constant attack, Kaspersky Lab’s solution showed impressive results, detecting 99.44 percent of attacks. The testing took 33 days, during which time the servers emulating corporate infrastructure protected by KATA Platform were constantly attacked: 550 attacks were performed in total. Additionally, the testing scenario included sending 377 “clean samples” to a protected network – benign objects that have certain suspicious characteristics that may be qualified as malicious. 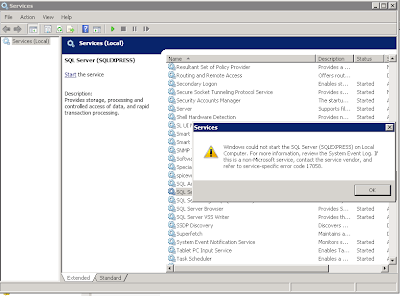 According to ICSA Labs, attacks included new and little-known malicious objects, including those not detected by traditional prevention solutions at the time of testing. ICSA Labs (International Computer Security Association) is an independent subsidiary of Verizon and has been testing and evaluating cybersecurity solutions since 1989. Cloudera is now accepting nominations for the fifth annual Data Impact Awards. The program, which has grown year-over-year based on the number of nominations, celebrates organizations’ exceptional achievements using CDH (Cloudera’s Distribution of Apache Hadoop). Mellanox® Technologies, Ltd., a leading supplier of high-performance, end-to-end interconnect solutions for data center servers and storage systems, today unveiled its expansion plans for Malaysia. The announcement, which is in line with the country’s ambitions of becoming the leading Big Data Analytics (BDA) solutions hub in South East Asia, reiterated Mellanox’s commitment to Malaysia through its strategic investment roadmap. Mellanox’s Open Ethernet switch family delivers the highest performance and port density with a complete chassis and fabric management solution, enabling converged data centers to operate at any scale while reducing operational costs and infrastructure complexity. iPay88 Sdn Bhd, an NTT Data company and Malaysian-based leading provider of online payment service solution within ASEAN, today shares some of its findings on Malaysian’s Online Buying Patterns – derived from real statistics of iPay88 payment gateway systems, that currently represents over 70 per cent of the nation’s entire eCommerce market. In 2016, iPay88 recorded 38.2 million online transactions via its payment gateway systems, which is a substantial increase of 161 per cent (from 14.6 million in 2015). (a) No waning of interest in online purchases despite sluggish economy. (b) Spending trends at MarketPlaces have not slowed down but instead there was a volume growth of 293 per cent. MarketPlaces shoppers are more likely to purchase online games, general ticketing, fashion and apparel. (c) People are spending more online while the type of goods purchased online remains unchanged. (d) Amongst the popular purchases include apparel & footwear; accessories & jewellery; electronics and sports equipment and respectively, their volumes recorded were RM25.3 million; 1.7 million; RM5.1 million and RM3.3 million. Huawei today released its carrier services business performance for 2016. By executing the product-driven and services-driven strategy, Huawei Services reported revenues of USD13.32 billion in 2016 and kept robust growth in improving carriers’ network value, operation efficiency, an digital transformation. Huawei Services aims to address carriers’ business problems and help them transform towards digital business. 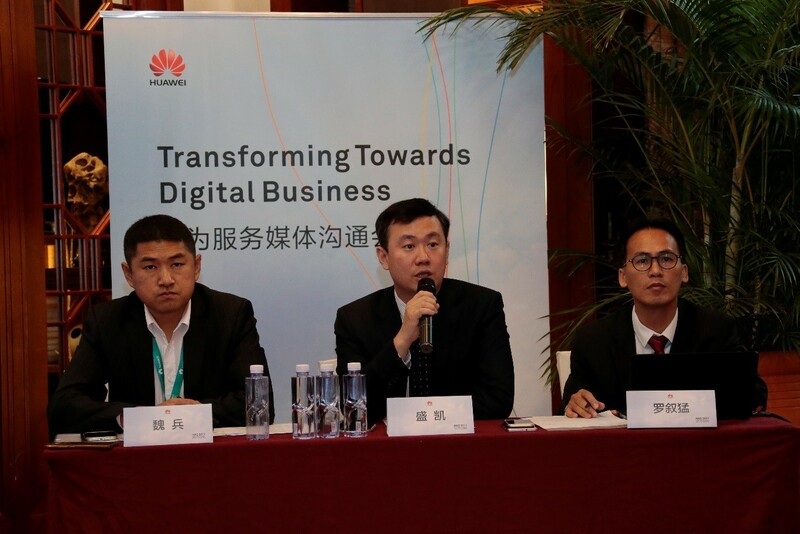 Huawei Services has made significant progress in experience-based network deployment. It has managed over 400 high-quality networks, established over 40 service operations centers, provided indoor connected solutions for over 52,000 hot spots, and deployed over 470 IP networks and 1.15 million integrated wireless sites. In terms of driving operation for excellence, Huawei Services has provided managed services for over 160 networks, delivered assurance services for over 500 major events, and ensured stable operations for over 1,500 communication networks. In addition, it has worked with global carriers to develop innovations in smart customer services, digital marketing, network and central office modernization. Huawei Services’ consulting and IT integration services have helped customers on their all cloud transformation journeys. It has participated in 2020 network transformation projects for more than 10 leading carriers, integrated over 420 cloud data centers worldwide, won over 30 commercial use contracts on enterprise CloudVPN integration, and completed over 130 NFV and SDN projects globally. Putting customers first, Huawei Services provides customized solutions and actively cooperates with leading carriers in joint innovation. It has provided services for a number of global carriers, and received awards from TM Forum, Informa, QuEST Forum, GTB, and Telecoms for its customer experience management, data center integration, ICT managed services, and NFV integration. Over 500 industry analysts, media representatives, and opinion leaders across a range of disciplines gathered in Shenzhen today for the 14th annual Huawei Global Analyst Summit (HAS). Hosted by leading global information and communications (ICT) solutions provider, Huawei Technologies, the analyst summit will highlight Huawei's latest innovations, business practices, and solutions in domains like cloud services, video, the Internet of Things (IoT), AI, and digital transformation. Huawei will also take this opportunity to discuss its strategy in these domains. Eric Xu, Huawei's Rotating CEO, opened the summit with an in-depth overview of the company's strategy. "The journey to an intelligent world has already begun," he said. "Many years of exploration and innovation in technology are driving industry development, presenting huge business opportunities. 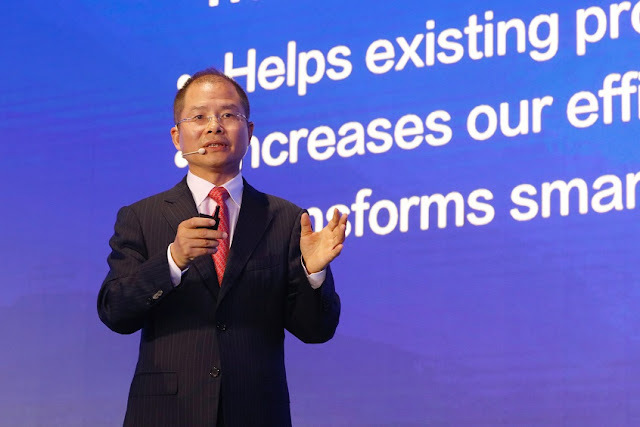 Huawei will remain committed to building more connections, enlarging data pipes, and driving digital transformation. By focusing on ICT infrastructure and smart devices, we will enable this intelligent world and drive its ongoing progress." BIOSTAR is thrilled to present the latest addition to its AM4 product line-up with the debut of the 2nd-generation of the highly-acclaimed BIOSTAR PRO Series motherboards. The new BIOSTAR A320 PRO series features new and improved features that focus on reliability, stability whilst providing top-of-the-line performance. The 2nd-generation PRO Series motherboards featuring A320 chipset supports AMD RYZEN CPU and upcoming APUs for the AM4 socket. 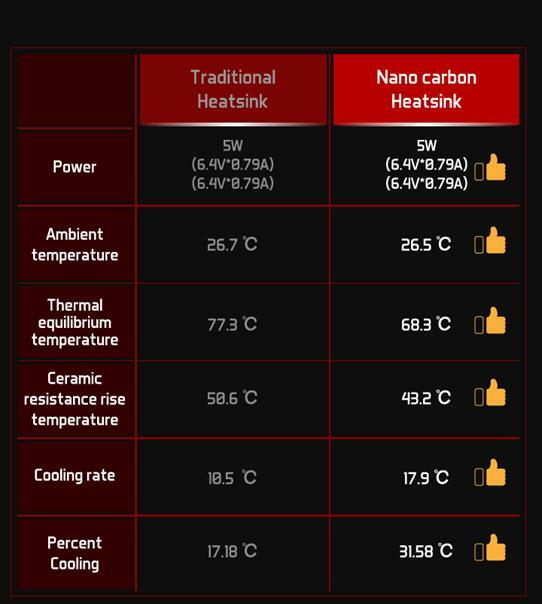 The board will support up to DDR4-2667 memory up to 32GB in capacity. The BIOSTAR A320MH PRO features HDMI connection for modern devices that support the interface and support resolutions up to 4096 x 2160 @24Hz or 3840 x 2160 @30Hz. The BIOSTAR A320MD PRO has a built-in DVI-D connector supporting resolutions up to 1920 x 1200 @60Hz. Fusionex, a multi-award-winning, leading software solutions provider specializing in Big Data Analytics (BDA) and Internet of Things (IoT); today announces that it has won a major contract with Galaxy Entertainment Group (Galaxy), a leading developer and operator of integrated resorts and hotel facilities such as the Ritz-Carlton, Okura, Banyan Tree and JW Marriot. Through the multi-year deal, Fusionex will be helping Galaxy consolidate all their services and facilities under one platform with in depth analytics. Powered by Fusionex’s data-driven platform GIANT 2017, travellers will now be able to make multiple reservations for any lodging, entertainment, F&B, or travel facility offered under Galaxy’s integrated resort umbrella. Fusionex GIANT 2017, Big Data Analytics (BDA) component allows the client the ability to record, analyse, and make sense of all its data, from customer demographics, purchasing habits, seasonal booking trends, and others. VMware, a global leader in cloud infrastructure and business mobility, today announces a new VMware Digital Workspace Study, which revealed that Malaysian businesses might be at risk of costly data breaches and cyber-attacks, with more than a third (38 percent) of employees using unapproved personal devices for work. These security risks are exacerbated by ignorance of technology guidelines, with close to half (42 percent) of employees who do not comply with their company’s IT policies or do not know them at all. The VMware Digital Workspace Study, which surveyed 2,000 professionals across Southeast Asia on their BYOD habits, found that majority of Malaysians (79 percent) turn to personal mobile devices for work. When it comes to technology infrastructure provided by the company, more than half (55 percent) of them feel that devices issued by their organizations do not meet their needs. Additionally, most do not trust the efficiency of these devices and their capability to allow employees to work seamlessly across multiple platforms. Cognizant announced that it has been selected by ABN AMRO Clearing (AACB), a leading global clearing firm, as its strategic partner to cloud-enable its global IT infrastructure and lay the foundation for digital transformation. This will enable AACB to increase operational resilience and application availability, enhance speed and agility in managing market volatility, and lower capital investment and operating costs. As part of the multi-year agreement, Cognizant will transform the IT operating model across AACB business services, including the core trading and reporting systems, as well as modernize the existing technology infrastructure across Europe, the Americas and Asia-Pacific regions. In addition, Cognizant will provide hybrid cloud, security network management and end-user services using Cognizant’s Constantly Ready Infrastructure (CRI) framework, and, as a result of this transformation, AACB will be able to standardize and automate its processes globally to deliver improved experience to its business users. CommunicAsia2017 is close to a month away and we are excited to announce the keynote speaker, Rohit Talwar, CEO, Fast Future Research who will be delivering this year’s CommunicAsia2017 Summit Visionary Address titled “Artificial Intelligence vs. Genuine Stupidity – Navigating Exponential Technologies to Create a Very Human Future”. Rohit Talwar is an award winning global futurist, entrepreneur and specialist advisor on business transformation, disruptive strategies and radical innovation. He is also the CEO of Fast Future Research, and provides critical insights to help clients make sense of a rapidly evolving and hyper-connected world. Artificial intelligence, together with big data and IoT, is seen as an enabler that will allow businesses to overcome the hurdles presented by large amounts of generated data and successfully make sense of these for insight and business direction. According to Forrester, AI will drive the insights revolution and by 2020, insights-driven businesses will steal $1.2 trillion per annum from their less informed peers. Speaking on the impact of artificial intelligence, Rohit will be delving into the implications of AI for businesses and how they can leverage on it for success in a connected, data-centric future.